Every good company knows the value of a conference. 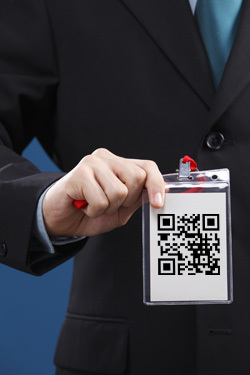 They are one of the best ways to generate new leads or capture valuable data from attendees. Don’t come back to the office with a notebook full of mismatched business cards and hand written scribbled notes. Instead, use Harvest Your Data on your Apple or Android mobile device – you’ll not only keep your contacts in order, but also identify sales opportunities with greater efficiency. Creating a form with Harvest Your Data is quick and easy, and the offline data collection functionality means that you can fill in your form anywhere. The conference mobile app is perfect for a crowded room with no reception or limited wi-fi. Plus, the media capture feature makes keeping track of your new contacts a breeze. If you’re prone to losing business cards, simply use the image capture function to snap a picture or scan the QR code on an attendee badge. The photo or scanned data will be tied to that form, meaning you can rest easy knowing that your lead’s information is all in order. If you’re carrying out a survey within an exhibition hall on foot or at your conference booth, Harvest Your Data is a must. With a UI designed specifically for iPads and Android tablets, respondents will have no trouble navigating the clean and simple event app interface. With the ability to export your results in CSV or SPSS format, extracting ready-to-use data is quick and efficient. Click here to start your free 14 day trial, or head over to our testimonials section and see how Harvest Your Data can work as your go-to iPad or Android mobile app for conferences, events, and lead generation forms.